Ever hopeful of a break, Giulietta Masina's lady of the night, Cabiria, manages to combine a cold, street-toughness with occasional flashes of loris-eyed naivety. Cabiria is aspirational yet practical. Nevertheless, she is bound by circumstances not of her choosing. Orphaned and poor, she has still managed to buy herself a little house. However, this is not a film that is likely to to restore faith in humanity. Because, after all, this is the world of Federico Fellini and here, yet again, he cuts his muse no slack. Cruelly, as with Richard Basehart's Fool in La strada, a romantic connection represents a slim chance of escape. Once again, this proves to be a mirage. 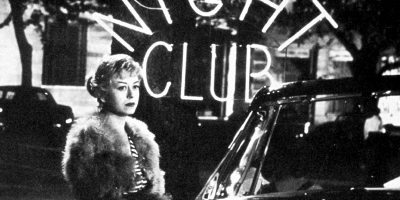 A heartbreaking masterpiece on near enough every level, The Nights of Cabiria neatly précis the condition of a post-war Italian underclass while raising the question what really happens when faith and hope comes up against adversity. For, in a world stripped of illusions, hope, along with idealism, are too easily crushed under the wheels of reality.